Today ADS has launched an online “Brexit Hub” to assist members with preparing for Brexit, distilling all the political noise for members to provide a single authoritative source of information on the impact of Brexit on the Aerospace, Defence, Security and Space sectors, and how to prepare. A no deal continues to be the worst possible outcome for ADS’ sectors, as well as wider industry. It is ADS’ priority to help our sectors remain globally competitive, and work with government to secure a deal that delivers during and beyond Brexit. We hope a deal will provide access to the customers, suppliers, skills, and Research & Development to retain the UK’s leading position in our sectors. The hub is split into three areas to help guide members through the potential impacts that Brexit may have. As the future relationship between the UK and EU is yet to be defined, ADS is working to investigate how leaving the EU will affect our sectors. 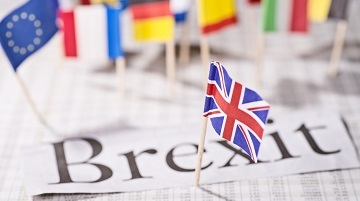 ADS have six key priorities in the Brexit and future relationship negotiations, all of which can be explored further on the Hub’s “How Brexit Will Affect Industry” page. Whilst the UK and EU continue to negotiate our future relationship, businesses of all sizes can get ahead of the Brexit-curve by understanding how leaving the EU might affect their own operations and employees, as well as suppliers and customers. ADS have outlined five areas in which companies can ask some basic questions to develop a Brexit plan. Each of these areas has further detail available on the Hub’s “Preparing for Brexit” page. The big question still at hand is what happens next? In this area of the Hub we provide political updates and insight to help members understand the current progress on negotiations and what milestones to look ahead to. We take a look at the following three areas to cut through the political noise and digest the next steps to securing a Withdrawal Agreement. You can explore further on the “What Happens Next?” page of the Hub. Future Relationship – As the UK leaves the EU, what will a new relationship look like? ADS are here to help our members navigate their way through the current uncertainty that surrounds Brexit. We know that each of our members’ businesses is different, and so leaving the EU will impact companies in different ways. As the details of any final deal become clear, ADS will let members know of any more specific steps they may need to take to prepare for the changes Brexit will bring. You can access the Hub here to guide you through the current state of play on Brexit.